"Regulatory hackers" are taking up residence in Brooklyn. 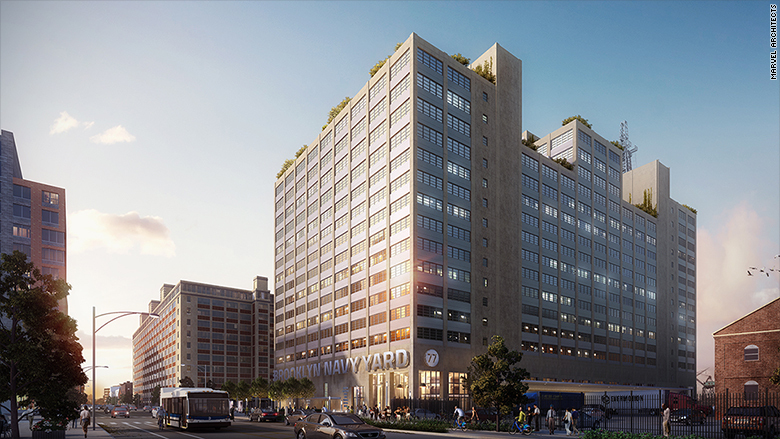 1776, a D.C.-based incubator and seed fund, has signed on to be the anchor tenant of the Brooklyn Navy Yard. Mayor Bill de Blasio's administration has invested more than $100 million into renovating the historic Navy Yard with the goal of bringing businesses and jobs to the area, which once employed roughly 70,000 people. 1776 -- which has campuses in D.C., San Francisco and Dubai -- will occupy the top floor of Building 77, which is slated to open in 2017. In the meantime, it'll take up temporary space this summer. The Brooklyn hub will operate similarly to its D.C. counterpart: It will incubate early-stage startups and look for investment opportunities in more New York-based startups. Previous investments have included startups like HandUp, HopSkipDrive, TransitScreen and CancerIQ. All are working on difficult-to-solve problems in highly-regulated industries. Think transportation, financial tech, health, energy and education. Building 77, where 1776 will occupy the top floor, is slated to open in 2017. First, startups must understand the power dynamics of the industry they're in: who are the key players? Striking up partnerships -- whether with think tanks, policymakers or key organizations -- is one way to influence change. "You've got to figure out who are your allies, who's not likely to be your allies, how do you put that together?" said 1776 cofounder Evan Burfield in a recent podcast with a16z. He said 1776 lends its knowledge of working with government and city officials to help companies figure out the "power map" of their industries and decide how to best tell their story. The goal is to create a neutral ground for people to talk to each other, said Rachel Haot, the managing director of 1776's New York operations. That way, hopefully "there isn't a policy clash months down the line," she said, adding that the organization doesn't lobby for any one startup. "We just try to get everyone around the table," added Haot. She knows a thing or two about dealing with city regulators. She previously served as chief digital officer of New York. She said there's a definite need for something like 1776 in New York. "I've seen it myself. The vast majority of startups have no idea what they're up against," said Haot, who noted that a commonly asked question from young companies is: "Do you ask for forgiveness or permission when it comes to regulators?" Related: Can Austin still be a tech hub without Uber? But it's not that simple. "There's no one way," said Haot. "The only commonality is, at some point, if you get big enough, the government will be aware of you." 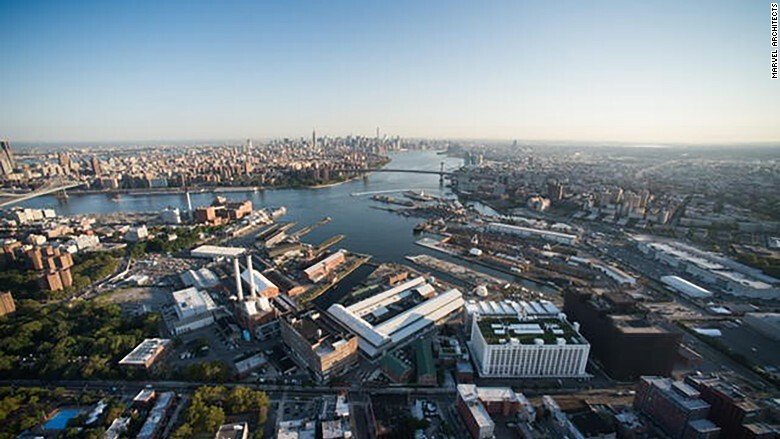 New York City Deputy Major Alicia Glen told CNNMoney that 1776's presence in the Navy Yard is emblematic of how the local government supports the tech ecosystem. "We're really creating a map of a new New York," she said, noting that the city is trying to designate places for innovation across the five boroughs and use its spaces in "deliberate ways." Glen said that while high-profile disputes with companies like Uber have caused some to claim that the city squelches innovation -- that's not the case. The ultimate goal is to have a collaborative relationship with innovators: "We're not crazy people, we're not here to clamp down on them," she said. Donna Harris, 1776 cofounder, said that innovation depends on effective regulatory hacking. "The hard problems are hard because they're regulated," said Harris. "We're doing this because this is where the next wave of innovation is going to happen."